Ed. note: This is a guest post from Grace Wilentz. Grace is a feminist activist and writer based in Dublin, Ireland. She is also a member of the South-based feminist alliance RESURJ: Realizing Sexual and Reproductive Justice. 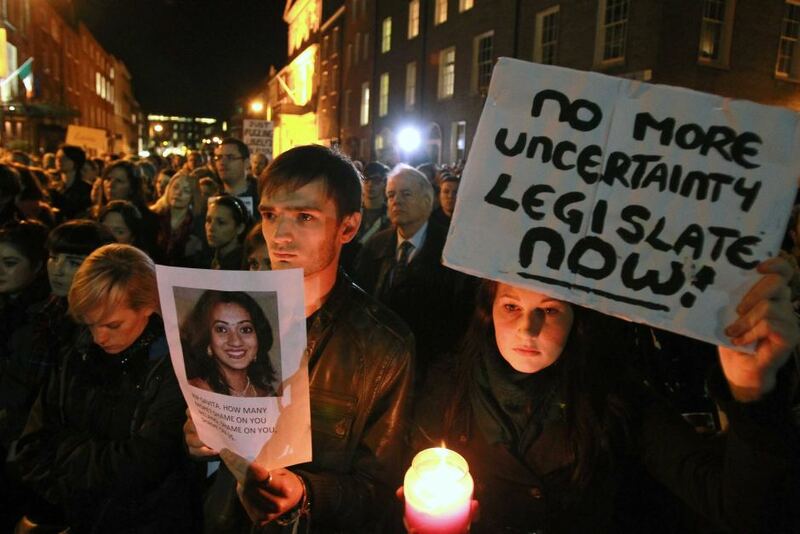 View previous coverage of Savita Halappanavar and abortion in Ireland here and here. The sound of rolling suitcases rumbled from Dublin’s main thoroughfare to the Parliament as abortion rights activists took to the streets in Ireland’s third annual March for Choice on Saturday. Ed. note: This is a guest post from Grace Wilentz. Grace is a feminist activist and writer based in Dublin, Ireland. She is also a member of the South-based feminist alliance RESURJ: Realizing Sexual and Reproductive Justice. 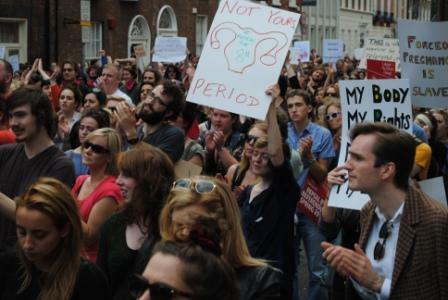 View previous coverage of Savita Halappanavar and abortion in Ireland here. Talk about baby steps (no pun intended). Not even a year ago, Savita Halappanavar died after being refused a life-saving abortion in Ireland. Her story brought international attention to exactly how strict the staunchly Catholic nation’s abortion ban was. 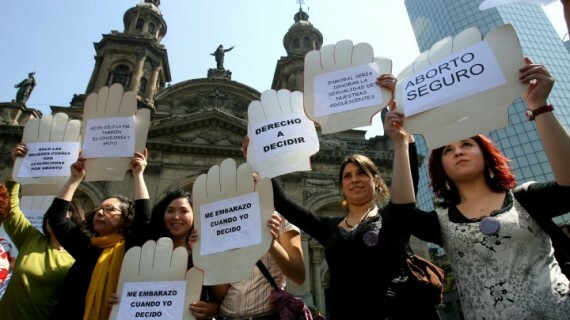 In 1992 the Supreme Court did rule that abortions were allowed in cases where the pregnancy was life-threatening. Unfortunately this decision was too vague and not enough to save Halappanavar’s life. This is why the Protection of Life During Pregnancy Bill was so important. The bill passed in the first vote earlier this month and President Michael D. Higgins signed it into law today. Irish lawmakers voted today in favor of a bill that would allow abortion in cases where the pregnancy is life threatening. Abortion is otherwise illegal in Ireland. The Supreme Court ruled in 1992 that abortions are allowed to save the parent’s life. But the new bill is necessary because the court’s ruling hasn’t been effective in allowing abortion even in life threatening cases. 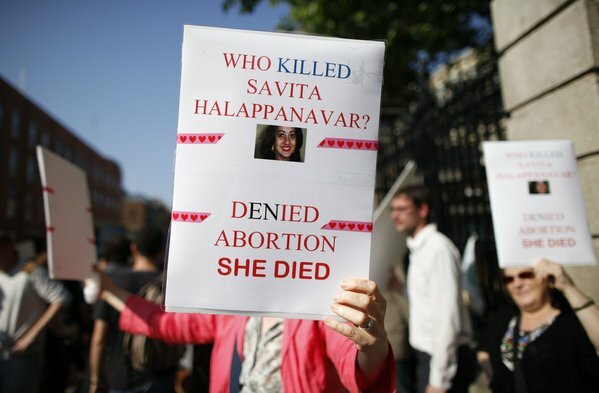 We saw the tragedy Ireland’s abortion ban can lead to last year, when Savita Halappanavar died because she was denied a life saving abortion following an incomplete miscarriage.